Last night immigrant families received a word of mercy and a measure of justice. Through executive action President Barack Obama announced that undocumented immigrants who have lived in the U.S. more than five years and who have children who are U.S. citizens or residents will be able to stay in the U.S. for the next three years. They will also be able to work legally. Immigration analysts tell us this has the potential of helping 4.5 million undocumented immigrants and their families. Good news indeed! We thank God that these immigrant families can now come out of the shadows and are grateful to President Obama for the strong statement his action sends to the immigrant community and to Congress. The response of Republican Congressional leaders has been to angrily announce that President Obama has overstepped his authority and threatened all possibility of working in a bipartisan way to bring about a more comprehensive reform of our broken immigration policies. We United Methodists had hoped for more, but believe that President Obama has done what he had the authority to do. The House of Representatives has been unable to move this much needed reform stuck in partisan politics. While the United Methodist Church does not engage in partisan politics, we must stand with immigrant families. Supporting the bold executive action President Obama has taken will help. Calling and sending letters and email messages to the Congressional leaders from our states telling them that we stand with immigrant families and support President Barack Obama’s executive action would send a necessary word of support for immigrant families. Assuming that President Obama’s executive action will be implemented, we must also be alert to some of the difficulties that immigrants may encounter, namely the cost of the legalization processes and fair implementation. 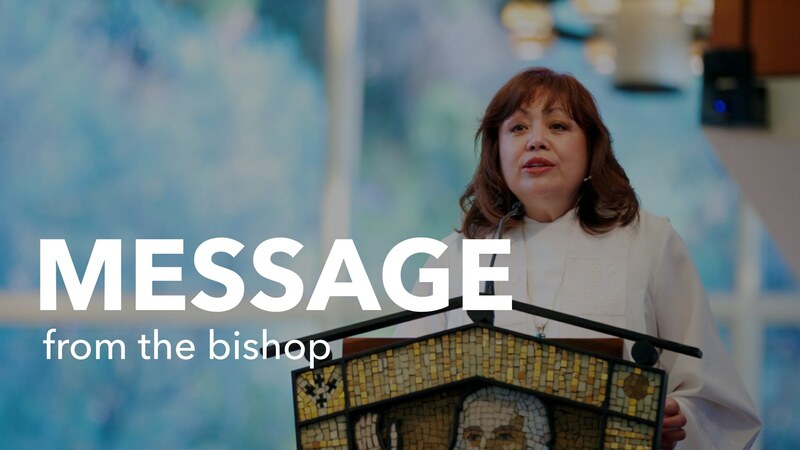 We know that immigrants in our communities and in our congregations are ready to step up out of the shadows contributing to the cost of the processes for their legalization, but these costs must be fair. Immigrants are some of the hardest working people in this country yet they are also among the lowest paid. Immigration application fees must be set within their economic reach. We have seen this need as we have encouraged young people to apply for DACA. Many qualify but have not applied because they cannot afford the application cost. Other immigrants have been affected by the unfair implementation of the present immigration policies. Some immigrants will be found to have a criminal record when the only offense they have committed is that of crossing the border without adequate documentation. A fair implementation of any administrative relief should take into consideration the circumstances of each individual’s life, with highest consideration being given to whether a person is making a positive contribution to the welfare of his or her community. Our United Methodist congregations can help. We can assist immigrant families with the cost of legalization processes. Every little bit we can contribute will help an immigrant family. Accompanying immigrants through the legal process so that they are treated fairly will also help. Most of all we can continue to welcome immigrants to our communities and our churches. They are children of God and our brothers and sisters. We can learn so much from them about God who chooses to be present with the sojourner. As we celebrate this historic moment, let us not forget the other 6.5 million undocumented immigrants in the U.S. for whom no mercy or justice has yet come. Let us continue to work for the full reform of the broken immigration policies of the U.S., an action that only Congress can take. In joining immigrant leaders, and other ecumenical and interfaith leaders, we United Methodists have helped make a difference. Let us give God thanks that we have come thus far, and ask God to renew our strength for the work ahead. 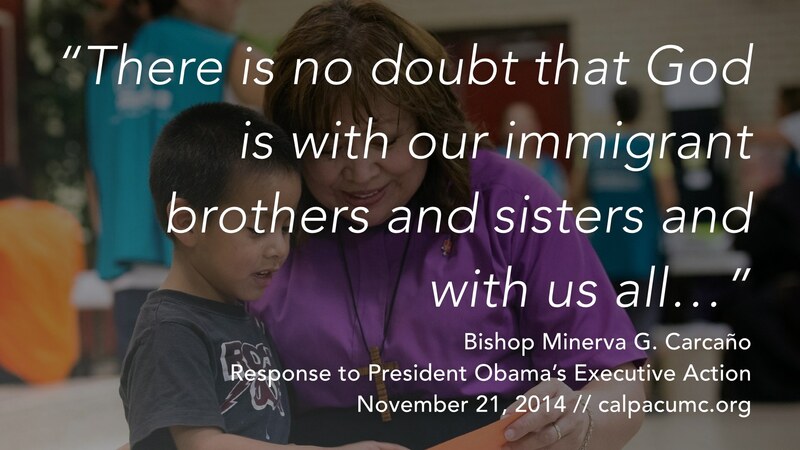 There is no doubt that God is with our immigrant brothers and sisters and with us all.